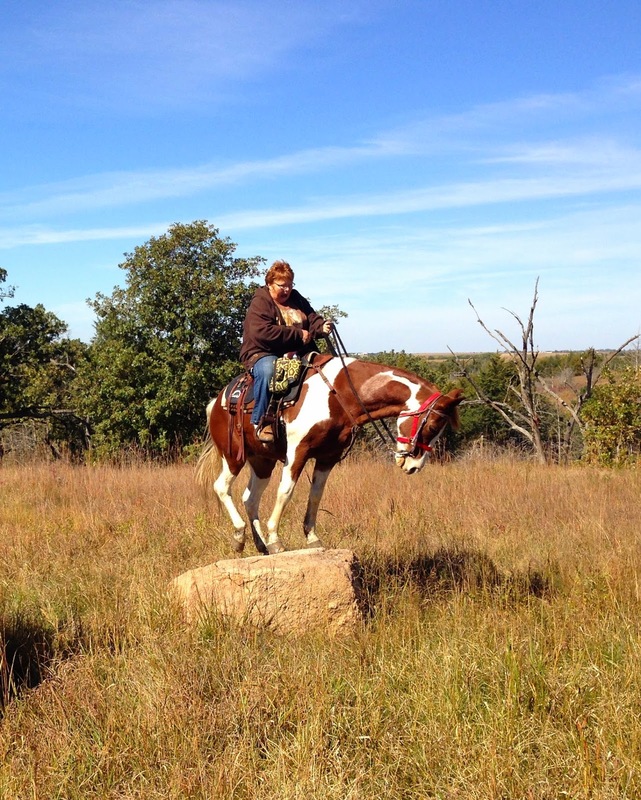 When we first started trail riding, one of our first camping trips was to Rock Creek Station in Jefferson County near Fairbury. We pulled in with our stock trailer, tack room filled to the hilt with what I thought we would need for camping, including a tent. I'd like to say that those were the good ol' days, but there was nothing good about it. Case fell in the fire, burned his hands, then burned them again on a lightbulb in the truck trying to see the burn, then every time he would fall asleep, the ice bag would fall off his hands and he would start to cry. Then the ice melted, the sleeping bags got wet... well, you get the idea. Frankly, I am surprised I ever wanted to camp again after that first weekend, but it was all about the horses. The riding. The scenery. Rock Creek Station was a stagecoach and pony express station in the mid 1800's. It was also the scene of where Wild Bill Hickok killed a man. The locals reenact that at Rock Creek Days each year. 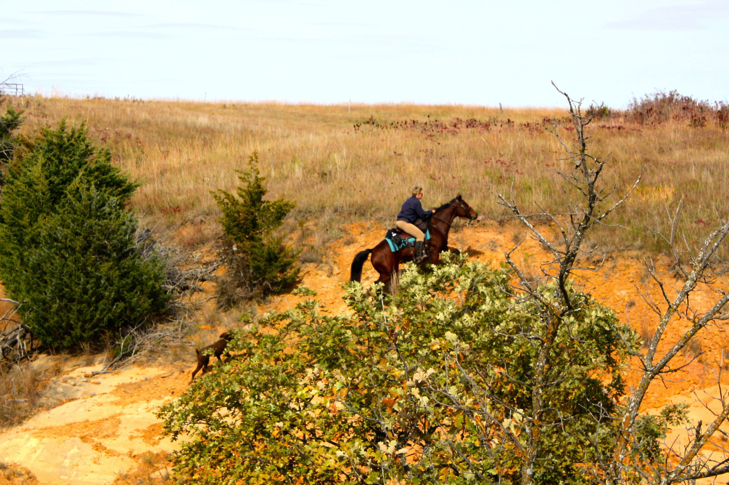 From the horse camp, the trails take you to Rock Creek Station and from their you can see the ruts of the Oregon Trail. To the south of Rock Creek Station is Rock Glen Wildlife Management Area. Riding is also allowed on that land from May to October. Riders are not allowed in the Wildlife area during major hunting seasons. Rock Creek Station proper is open year around. John begged off from going, claiming he had too much work to do, so Pip, Windy and I headed down there early Saturday morning to meet up with my riding buddies. We were saddled and riding by noon. Although some of the area is wooded, a lot is prairie. The fall colors were captivating. I enjoyed taking pictures as much as I did riding. It was fun to reminisce about riding here when the boys were younger. The big burr oak tree that they would look for to find the gate back to the park. The red rock canyon, the rail road canyon and hedge apples lining the trails. So many memories. Years ago, they held competitive trail rides at Rock Creek. I have been interested in resurrecting the event and after spending the weekend there, I am even more excited. It appeals to those who enjoy a piece of history and like the ruggedness of the plaines. It won't be without work to get the miles, but I think it could be done. I snapped close to four hundred pictures while riding those two days. There is not enough room on this post to show you all of the beauty. And there was a little goofiness, too. Your photos do not look real; they are so vibrant and crisp. The header looks like a painting! Beautiful.